Getting aways to anywhere via public transport - demand multi-tasking, thoughtful clothing. No checked baggage or single purpose anything-head to toe apparel/footwear needs to function in many environments. No wonder outdoor brands are becoming urban mainstream labels...that stuff is made to last, weather tough-and now-fashion-y enough-for today's casually dressed traveller. Raise your hand -a round of applause.if you've had yours confiscated by TSA. OKAY THAT WOULD BE EVERYBODY. 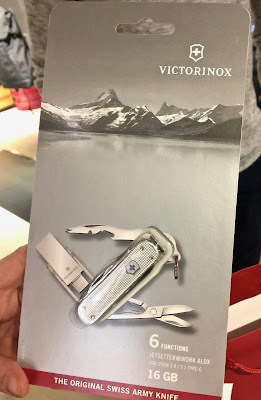 Solution-Victorinox Swiss Army multi-tool less the blades-travel ready-TSA okay. YAY. Award winning Jetsetter@work Alex knife $70 has a removable 3.0/3.1 USB stick (on the left) with 16 GB of storage (ideal to store all those pictures you're gonna take w/o having to access a cloud service)-plus six functions-scissors, bottle opener, wire stripper, Phillips screwdriver0/1 magnetic-and a key ring. 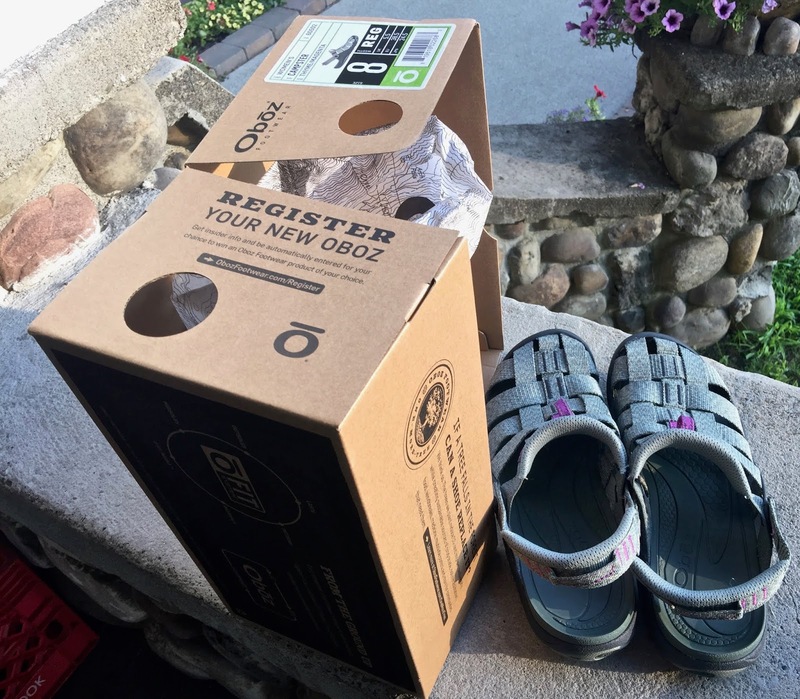 OBOZ-makers of those cult fav hikers-delivers on comfy slips via its women's CAMPSTER sandals $90 for all temps less snow. Ideal for sojourns on wet or sandy surfaces (like rocky beaches)- or as day hikers on dirt trails. CAMPSTER'S stretchy soft polyester webbing upper-is secure enough w/o being restrictive...that back heel strap can be dropped easy enough, fyi. that brand's OFIT which takes into consideration the entire sandal...begins with that now iconic signature footbed-insole-which cuddles our heels supportively-offers ideal arches fit / lift for proper alignment (that would be neutral)...and natural walking ease...that does not rock us too far back on our heels-a problem with other brands. The midsole is made of anatomically design, molded EVA. Fit note-imo-run big-size down half or full size. We usually wear an 8.5 -but are wearing a size 8-with socks. 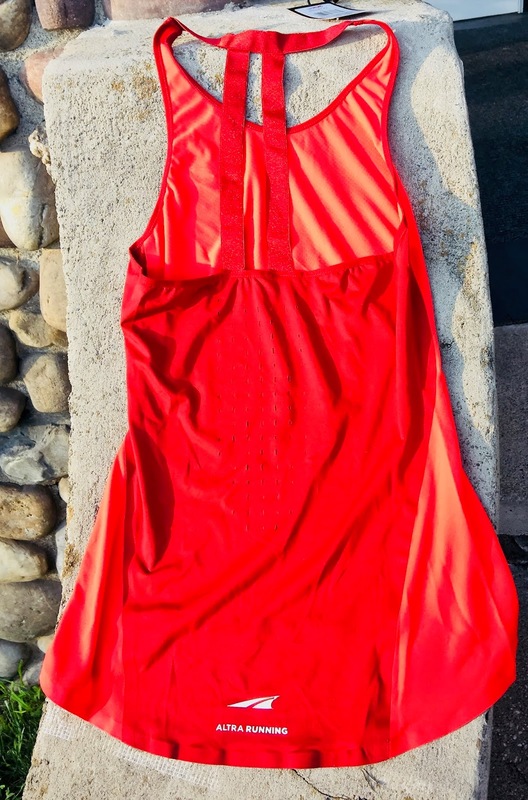 LOVE the back...ribbon details -flattering cut...good for all body types. Runs true to size. OBSESSED WITH NIKE NYC's custom cut-sew program. We wrote up the World Cup program prior. Then we strolled in a few weeks later...and got this rain tough cape pull-over -that has a plastic see through hood that extends to the chin-acting as a shield. Can't tell from this pic-but there is fab netting trim detail too. 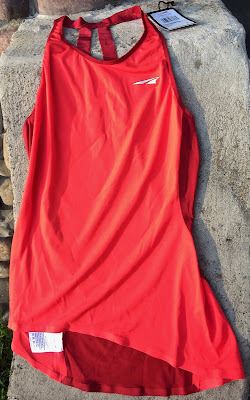 A Nike sponsored Championship League team logo jersey...got one -and you could get one of these too. Free. No longer available as an option but it does make going to the Spring/Broadway NYC store a must for design-style obsessed types (like us)-as well as Nike athletic brand fans. Only spot on plant earth to have this option-with the purchase of a team jersey (or 2-3-depending on the style. MAJOR KUDOS to the designer behind this program and the stylists up on the sixth floor that make them. And NIKE-talk about a winning way to get brick mortar traffic, regularly. HELLO our new wardrobe.PS: More or less a first come, first served-though appointments can be made at the store. Nike -we don't think, advertises this program. They don't have to. 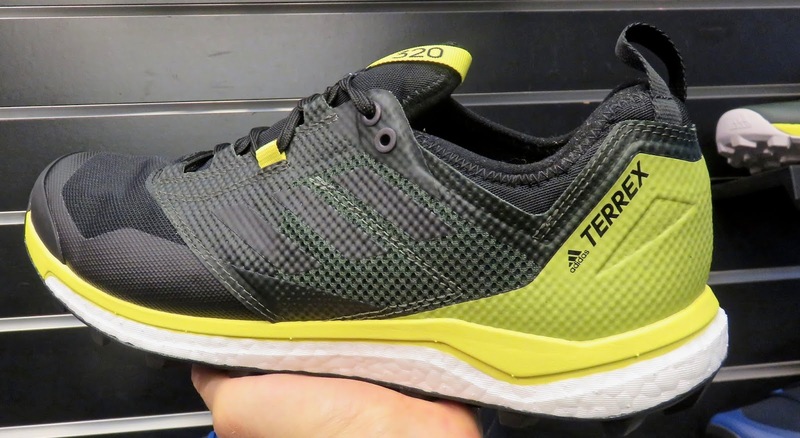 We had heard major acclaim for ADIDAS UltraBoost technology-the energy return, shock absorbing , cushioning material in the brand's kicks...but it's not till we actually got a pair (via the ADIDAS Parley collection with uppers made of plastic ocean debris) that we finally got it. WOW. Now we're jazzed that their new lightweight TERREX AGRAVIC XT men's $140) are and available now-AND are perfect everyday shoes (too-besides road/trail running). 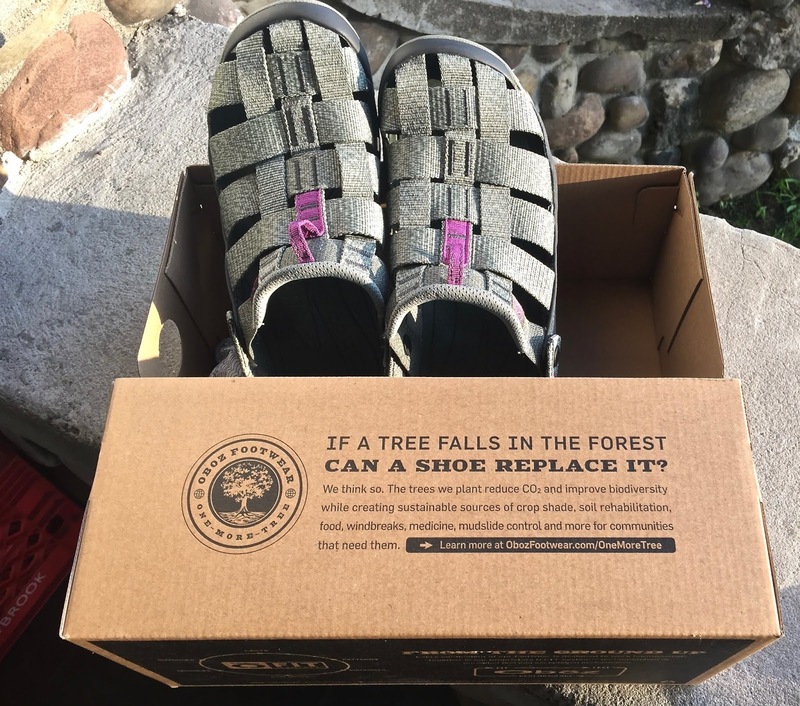 They are lightweight -shock absorbing-a must for cement -cobble stone city streets-kinda cool looking, with an EVA frame responsive midsole for a great fit...and doubles as a day hiker. 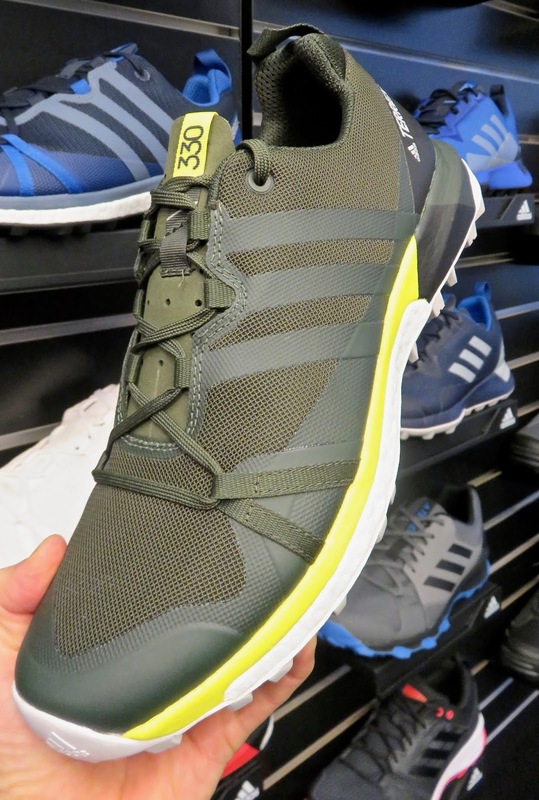 Women's Agravic GTX with Gore-Tex membrane $160-also available now-could be the only shoe needed for weekend destination fav and soccer powerhouse- Iceland. 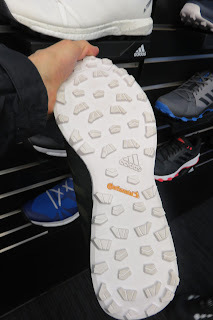 Continental Rubber outsole-awesome grips on slick surfaces w/o adding hefty ounces. we always favor kicks with a pull on back tab...plus rubberized toe bumps. neoprene collar-assures a great fit and keeps debris out. 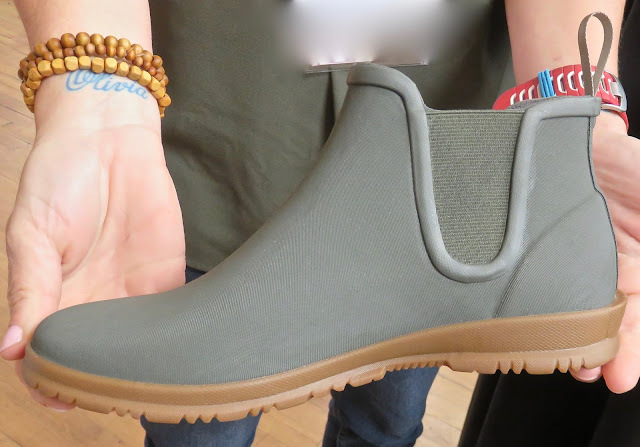 Practically speaking-a Chelsea Boot style never goes out of...classic look that always looks great with most wardrobe items. Check out BOGS take on it-a brand acclaimed for its weather impervious boots...delivers a rather snazzy looking water proof -lightweight version-that's got sunny day potential too. These are Fall '18-delivering soon. 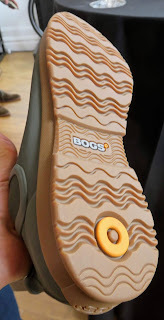 grippy outsole...with wave suiping-stears water off...and cushioning pod under the heel center-where it's needed. 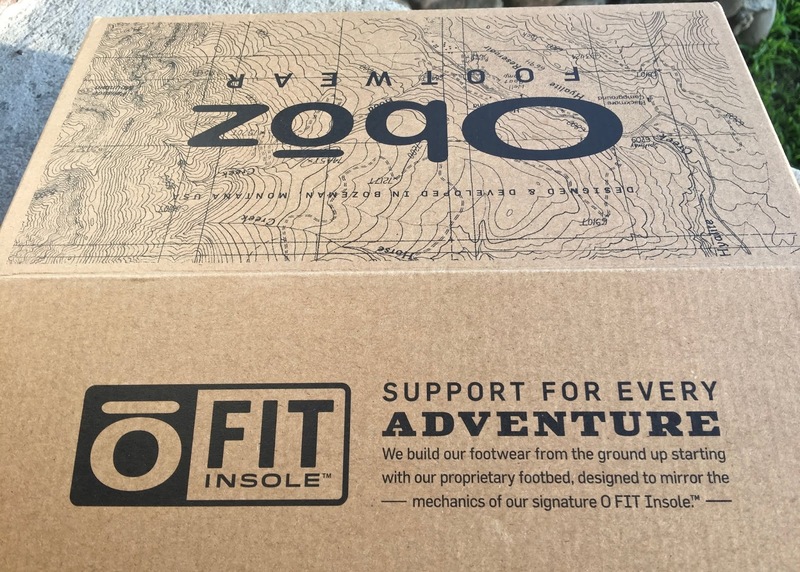 Bogs footbeds are breathable...anti-odor-and foot comfy. 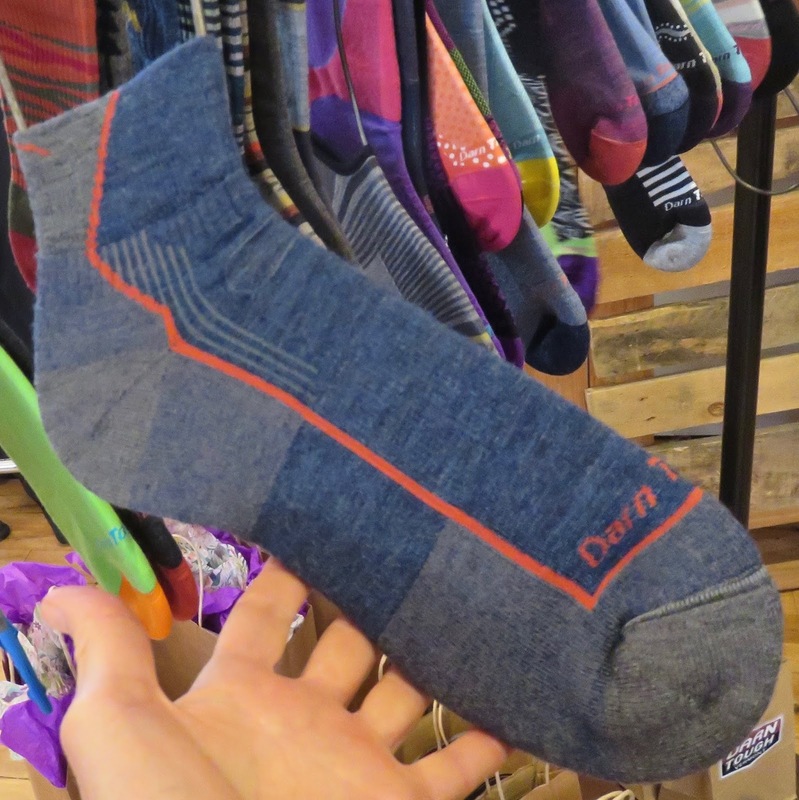 DARN TOUGH-are just that-the only brand of well knit-naturally breathable, anti-odor, comfy merino wool socks we have that have stood the test of time. Never underestimate how a lousy fitting bunching up, blister inducing pair of foot coverings-can ruin a day's outing. Fortunately-DARN TOUGH knits up-in Vermont-so many styles, thicknesses and eye-catching patterns...for all-that one would be hard pressed not to find a few pairs to wear/pack. 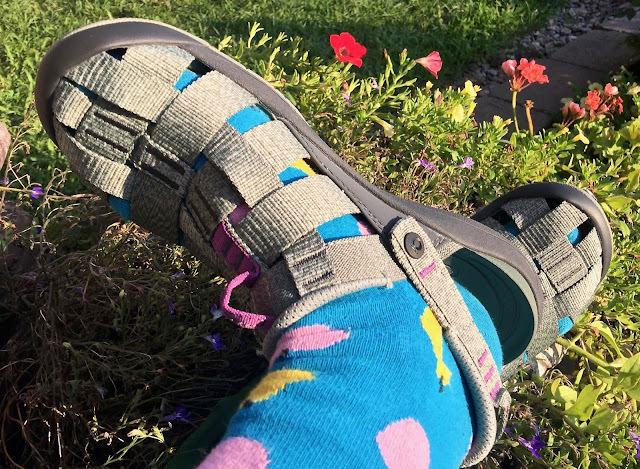 We think these all weather, light weight socks- hikers with medium cushioning -would be ideal for most activities. 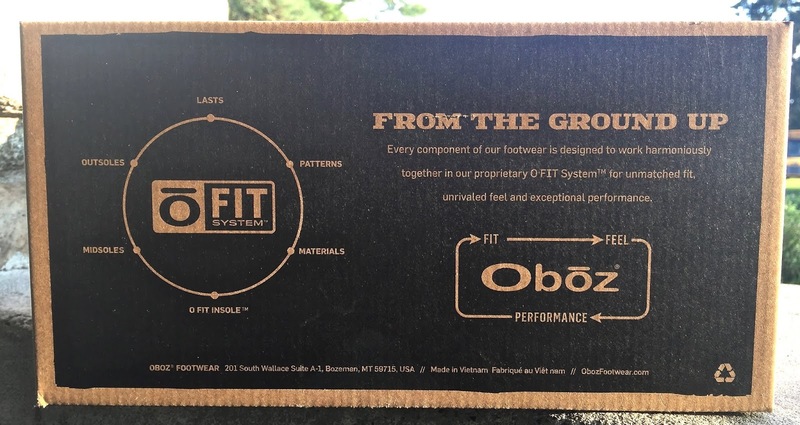 Check out the side vents for added breathability, the brand's True Seamless™ toe-undetectable (not annoying, meaning) seam fusion, and perfect fit for tug-less wear (2% Lycra in there)...$18. Comes in different heights -crew, ¼ and boot.